TechRadar is once again an official media partner for the GSMA Mobile World Conference - in a show that is promising to offer up exciting new phones and tablets. With the likes of Samsung, Sony and HTC all embracing the Barcelona-based mobile devices showcase, we're expecting big things from MWC 2014. 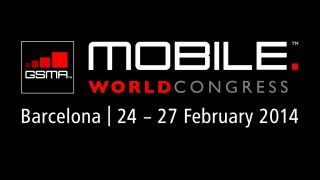 The GSMA Mobile World Congress is where mobile leaders gather, collaborate and conduct industry business. Mobile is a catalyst of change and innovation, and whatever is coming next will likely be born at Mobile World Congress 2014, where we are "Creating What's Next". The yearly event provides the planet's best venue for mobile industry networking, new business opportunities and deal-making. Mobile World Congress includes a world-class conference featuring visionary keynotes and panel discussions; an exhibition with more than 1,700 companies displaying cutting-edge technologies; App Planet, the Centre of the Mobile Apps Universe; mPowered Industries, a new conference and exhibition programme for those in the health, advertising, media and travel verticals; and the annual Global Mobile Awards ceremony, which recognises innovative mobile solutions and initiatives around the world. In 2013, Mobile World Congress hosted more than 72,000 mobile professionals from more than 200 countries. Visit www.mobileworldcongress.com to learn more.